Civil conflict has raged for 32 years in the Senegalese region of Casamance. Yet it is rarely reported on and it's young people - hit hardest by the disruption - have been forgotten. Following the ceasefire called by rebel leaders, I wrote this piece for the Guardian using previously unpublished research produced by Y Care International. Y Care International has worked in the region since 2006 alongside YMCA Senegal to support young people back into training or employment. 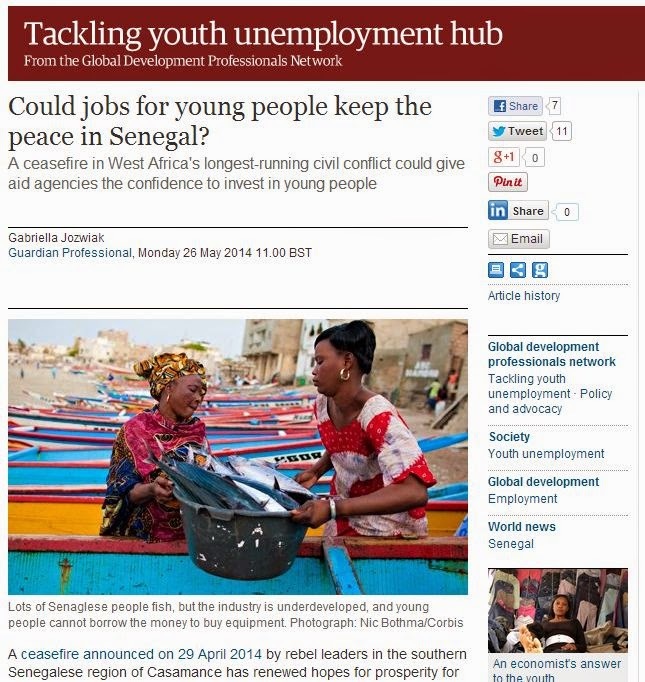 You can read the full article on the Guardian Global Development Professionals Network.